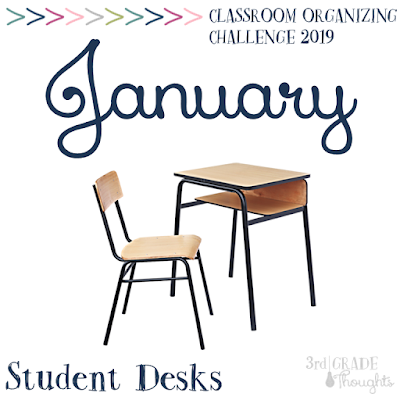 This is the final installment of the January challenge, so if you don't have any student bins or cubbies as a part of your classroom, this is a great week to catch up on any of the pieces and parts from the past weeks. 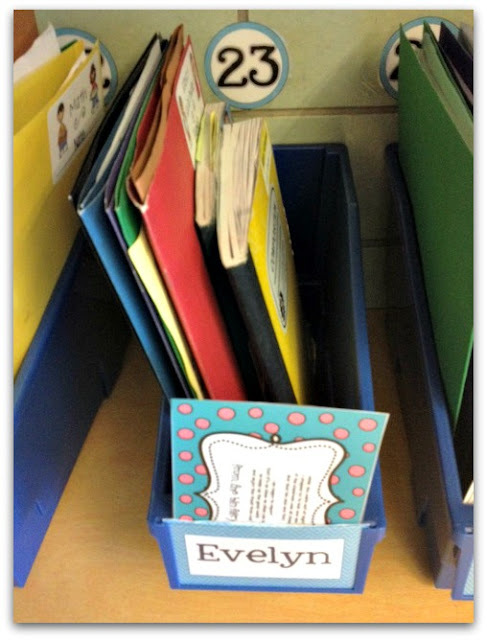 For many of us with tables instead of desks, student bins and cubbies contribute to a lot of the visual clutter we see when we enter our classroom. No matter the style, it can be a challenge to find a system that is both student-friendly and easy to keep clean. In my previous classroom, I had a long back wall of cabinets that were perfect for lining up these bins from Really Good Stuff. I had student names in the front and class numbers taped against the back wall so they always knew where their bin spot was. How easy is it for students to access these bins? How will I dismiss them to get something from their bins without causing lines/chaos/long wait times? 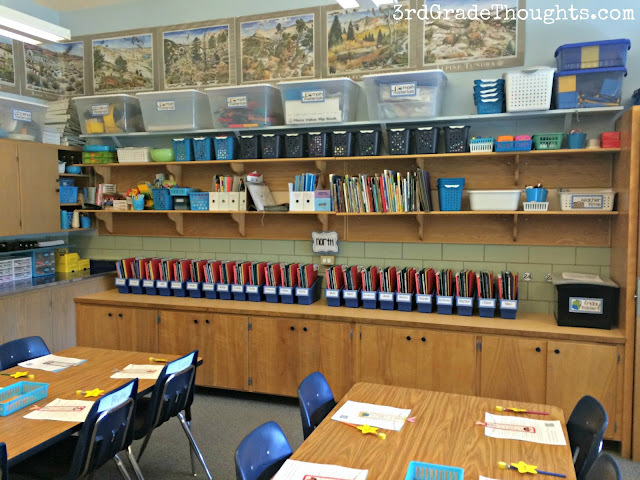 How will students keep these organized? What systems are in place to ensure the organizing is student-led and student-implemented? Consider: Is there a place I can store these bins so they are not the first thing I see when I walk into the classroom? When it comes to the last question, I am thinking back to last year when we first moved into the school and the cubby system we were given was placed right by the door. I am really struggling with these cubbies-- they are too small, too shallow, papers hang out and/or get lost down the back, the line to get anything from them takes forever, and on and on.... You get my drift. What was worse is that they were right there, waiting for me next to the doorway every morning. Walking into my classroom and seeing these first immediately put me in a stressful and agitated mood, and no one benefits from that! Moving these to the back of the classroom against the wall was not a perfect solution (the cubbies remained the same), but it allowed me to not be confronted with this issue first thing every day. Plus, moving that gargantuan piece of furniture from the entrance opened up my classroom so much! We'll get to furniture organization at a later time, but it's something to start to mull over now if you find yourself in a similar predicament. Another strategy that created more stress than it was worth was having students keep the blue Really Good Stuff bins at their table spots one year. Talk about visual clutter! Having 28 bins on tables looked overly-crowded... because they were! Bins would tip, papers would be hanging out in all directions, and it wasn't worth the convenience (for me) of having them close by. We removed them as a class one Friday afternoon and the transformation was astonishing! The students and I all agreed immediately that a new system would be necessary because we would not and could not go back to bins on tables! I share these experiences with you to show that it may take time to figure out a plan that works for your room, so giving this spatial issue just one week may not be enough. If you have dedicated cubbies that can't be moved, or desks that don't have this issue, this doesn't apply, but I still challenge you to think of the visual noise that some of these systems unintentionally create. In our quest for convenience, are we making these spaces busier and messier and more cramped than they need to be? When it comes to a clean bin and/or cubby, what is expected and how do students know? Teaching third grade, I'm fortunate since the kids have previous experience, so there are many helpful ideas they provide. I love to color code supplies, so that automatically contributes to the organization of these spaces. 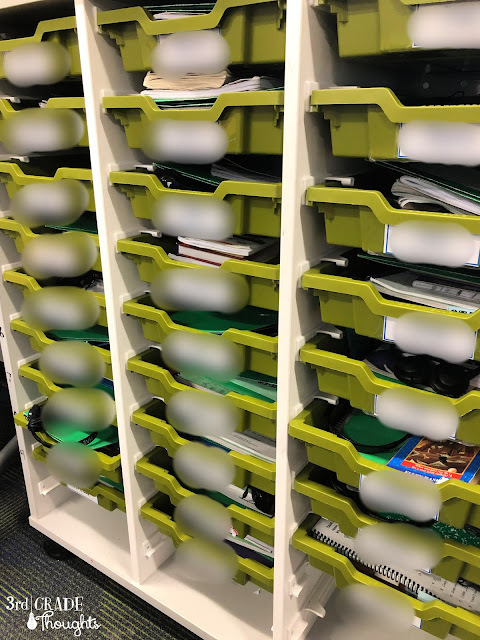 Students often suggest the largest to smallest strategy, which is often the one we employ the most each year-- folders on the bottom, then workbooks, then notebooks, then reading books, etc. We also have an expectation that there are no loose papers-- every paper has a home in a folder. These become our two rules: 1) Largest to smallest and 2) Every paper has a home. While I will start as bin inspector at the beginning of the year, I love to relinquish this duty to my Clean Up Crew in my Classroom Jobs as soon as we have the hang of it. Before Friday Free Choice, the Clean Up Crew (I have two students in this job position each week) will inspect the bins and decide is they are clean by our class-determined standards. If they are, the student can begin Free Choice, and if not, they can offer their help to get it clean and organized. I also employ the Desk Fairy for bins and cubbies, and this is always a fun treat. Now that my daughter is in second grade (How did that happen so fast?! ), I can give her this task after school as I am setting up for the next day. She loves the responsibility and it frees me up, so we all win. Read more about the Desk Fairy system HERE. Where are student cubbies and/or bins located? Are they the first thing you see upon entering my classroom? Are the bins/cubbies accessible to all students? Do students know where to return them? How can I label these spots to make them easy to return and stay tidy? What are the expectations for a clean bin/cubby? 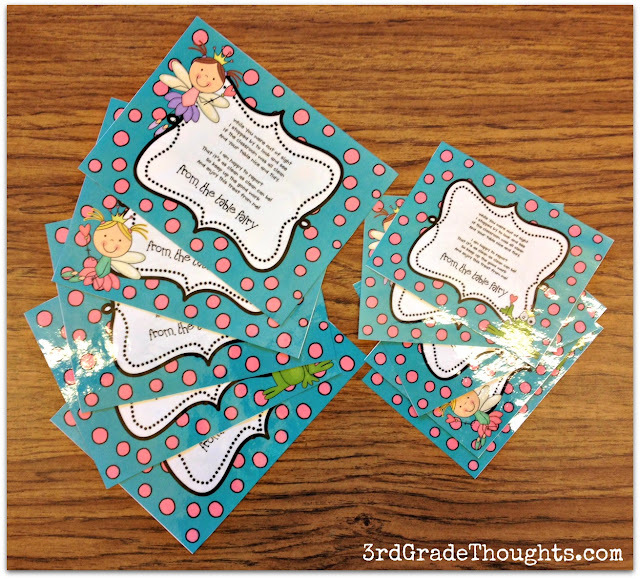 Can I co-create these with my students? Can they be displayed on an Anchor Chart or diagram to help? When can I incorporate cleaning times for bins and cubbies? Can I use student jobs to help with determining what bins are clean and not? Could the Desk Fairy make visits? Could these bins be moved to a different space? How would that change the above considerations? When I look at the students' bins and cubbies, how do they make me feel? Are they generating stress and ire or are you indifferent or maybe even full of ease and/or pride? Consider the visual noise this space emits in your classroom. What can be changed? How can the students help generate solutions? Congratulations on finishing Month 1 of the Classroom Organizing Challenge! Coming up in February, we will be tackling our personal desks, so buckle up and I'll be back with the new challenge soon.